The power of e-mail marketing can only be felt more strongly with every passing of the day. E-mail marketing has revolutionized the style of marketing adopted by businesses. It helps businesses to convey their ideas and information way faster than earlier. However, in order to leverage the power of e-mail marketing optimally, businesses need to have the correct database of users. It (i.e. the database) should contain the correct e-mail addresses of clients. The e-mail addresses thus contained should be duly verified, validated and updated as well. When it comes to e-mail marketing, businesses should have the right knowledge of e-mail appending as well. Let us explore how e-mail appending facilitates B2B marketing and B2B Contact list – but not before finding out what e-mail appending exactly is. 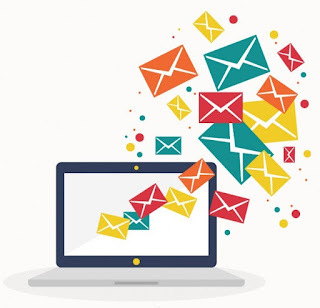 Very simply put, e-mail appending refers to the use of existing client data like name, postal address etc and mapping the same with the vendors’ list to secure e-mail addresses. The existing client databases might not have the updated e-mail addresses and without the correct ids businesses cannot reach out to their clients. Thanks to the e-mail appending services, businesses can now do away with the problem. The e-mail appending service providers can attach and up to date all the addresses contained in the existing client database. How can e-mail appending help businesses? Needless to say, e-mail appending has emerged as a powerful technique which helps businesses to stay in touch with their clients. Sending across the right information across the right people is vital to your business success. There are definite dangers of sending across the wrong information to the wrong clients. It not only results in waste of time but decreased productivity as well. However, with the e-mail appending services, businesses can aim for stronger multi-channel strategies by reaching out to the right B2B clients. Sales, as such, are likely to be boosted as well. How should you select an agency offering e-mail appending services? There are several agencies offering e-mail appending services. However, you should be prudent enough to select a firm only after you have investigated the credentials of the companies thoroughly before investing. It is very important on your part to ensure that you are turning to both offline and online reviews in order to find out about the pros and cons of different agencies. Does the company have the proven track record of providing quality services to B2B marketers? What are their clients saying? scale to large scale companies which will focus on driving more revenue and increase profitability. Great article – Impressive: We think you might be interested to know more about our company. Techno Data Group helps you get your hands on world’s best class customized B2B Contact List, which can make your sales and marketing campaigns cost effective.EMAIL APPENDING SERVICE Achieve Your Marketing Goals and Grow Your Business.